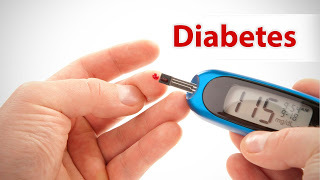 Diabetes is a metabolic disorder that is characterised by the production of large amounts of urine and excessive thirst. The number of people with diabetes are increasing each day. Especially, it has become more common among children and adults. Type 1 or juvenile-onset diabetes is said to be more common among children , however incidence of Type 2 diabetes is also increasing in the Adolescent age group. Insulin is the hormone that regulates blood sugar. Insulin is made by the pancreatic cells in the human body. These pancreatic cells may get destroyed by the body’s immune system. As a result, the volume of insulin level may decrease and pave ways for developing type 1 diabetes. Diabetes education is necessary to the child as well as the family, whether it is type 1 or any other type of diabetes. Only a pediatric diabetic healthcare professional team like us can only provide the adequate information about management of diabetes. The factors in which the child and parents require additional information may include detection, prevention and treatment of hypoglycemia, exercise, nutritional therapy, insulin action and administration, blood glucose, ketone testing, dosage adjustment of insulin, sick day management, prevention of diabetic ketoacidosis etc. Lifestyle counselling and anticipatory guidance are the part of routine care. One of the important medical management of diabetes is the insulin therapy. A wide variety of insulin regimens is used for this. It is selected according to the factors such as the child’s age, family lifestyle, duration of diabetes, family lifestyle, preferences of the physician, socioeconomic factors etc. Monitoring blood glucose level is very essential in diabetic patients. This can be done by the child itself, with proper education. It also helps in controlling the diet as well. Counselling from a registered dietician is necessary for the best nutritional management. Children with diabetes should follow a diet, which is prescribed by the dietician or the attending doctor. Nutritional therapy can also be helpful in most of the cases. It will be individualized taking into consideration the normal growth and development of the child. Other comorbid conditions of diabetes such as- Celiac disease, autoimmune thyroid disease, Addison’s disease, etc. Diabetes in Children and adolescents can be well managed with the help of a skilled team of pediatric diabetic specialists. We at Fayth clinic offers high-quality Diabetic Rehab Service and care, management of pediatric diabetes.